We were walking recently along the boardwalk in South Beach (not Miami, Staten Island) when we passed what looked like bocce courts. We detoured from our route and came across "The Staten Island Bocce Club". Besides three beautifully maintained bocce courts, there was a gazebo with picnic tables and a tiny garden where the members grew tomatoes and zucchini. 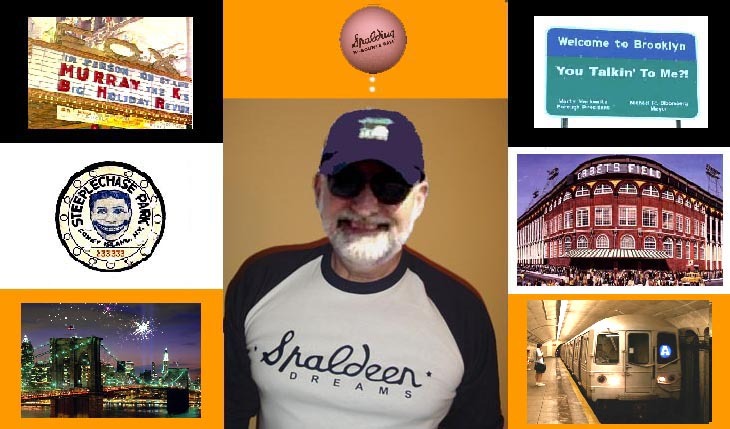 As sometimes happens when we come upon a sight that is connected to our past, I was immediately transported in time back to Brooklyn in the 1950s where groups of old Italian men played serious bocce games on the courts in Callahan and Kelly Park on Truxton Street. For those of you unfamiliar with the game, allow me to elucidate with the help of the World Bocce League website: "Bocce, an ancient sport little known in the United States, has finally begun to take root in the American sports culture. 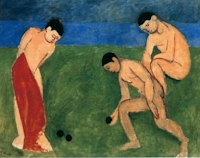 Bocce Ball was first documented in a 5200 B.C. painting of two boys playing, which was discovered by an English scientist, Sir Francis Petrial, in an Egyptian tomb. 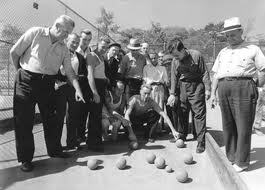 In 600 B.C., Bocce was picked up by the Greeks and passed to the Romans. It was played everywhere, from the churches and castles to the city streets. It was Giuseppe Garibaldi who, while unifying and nationalizing Italy, popularized the sport as it is known today. Bocce for the average player is very simple. There may be anywhere from two to four to eight players on a team. 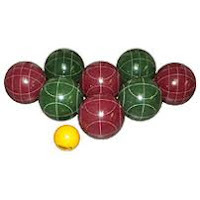 Players are awarded one point for each ball closer than the opponent's closest ball nearest to the pallino ball (the smallest ball, which has already been thrown onto the field). Each player is given two balls (boccia). A player continues to roll their balls until they get closer than the opponent's ball. Players may also throw on the fly (volo), striking the ball to move the point ball. Balls, including the pallino, may also be displaced by the balls of other players. 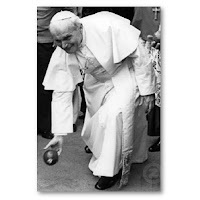 Bocce is an inexpensive game of thought and strategy that brings families and friends together with the enjoyment of a game that everyone can play." 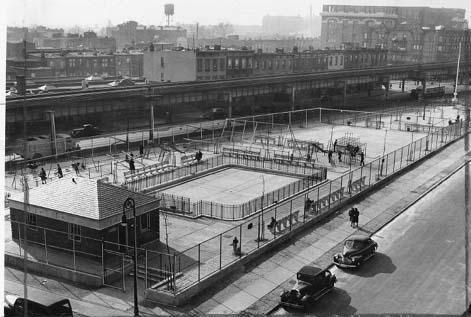 The men I remember played every day in Callahan-Kelly Park. They wore old pants because of the clay dust kicked up on the courts. They also wore grey cardigan sweaters and brown or grey fedora hats to complete the uniform. Most smoked smelly Di Nobili cigars which they rested on the court railing or in the band of their hat when it came their turn to throw. They always cursed in Italian and gestured wildly for every good or bad throw. If a call was close they invariably took off their belts and used them to measure. If you ever watched a game you would swear the contestants were mortal enemies, but Italians tend to be like that. After the game they would sit on the park benches together and enjoy homemade wine out of glass flasks or eat cherries they had soaked in alcohol. Bocce is a game that can be enjoyed by anyone. On a recent family reunion picnic we had a game of bocce and it was terrific. Old guys like me played alongside 10 year old boys and we enjoyed ourselves equally. While playing with my sons and cousins, I felt a real connection to the old country. I know my ancestors back in Grassano in Basilicata in southern Italy must have spent some time playing bocce with their families and so we were continuing a long tradition. It must have been very hard for the early immigrants to America who came here with nothing but a dream about a land that promised a better life than the one they left. They banded together with others like them who had come before, living hard lives in overcrowded neighborhoods. I'd like to think that a game of bocce brightened some of their afternoons just as the sight of The Staten Island Bocce Club brightened mine so many years later.